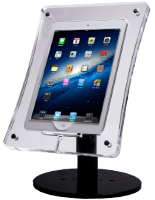 This lockable ipad case with clamp base combines a portable tablet display with a securely locked enclosure to protect devices. 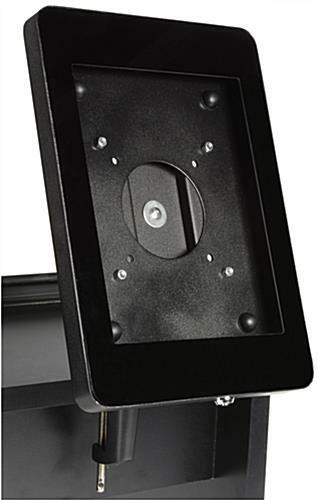 Each of these black-finish steel fixtures features a key-locking design that blocks user access to Home functions. 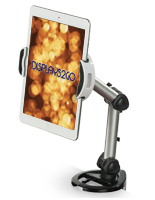 The portable ipad case with clamp base is sized to hold 2nd, 3rd, and 4th-generation deivces as well as Air 1 & 2 models. 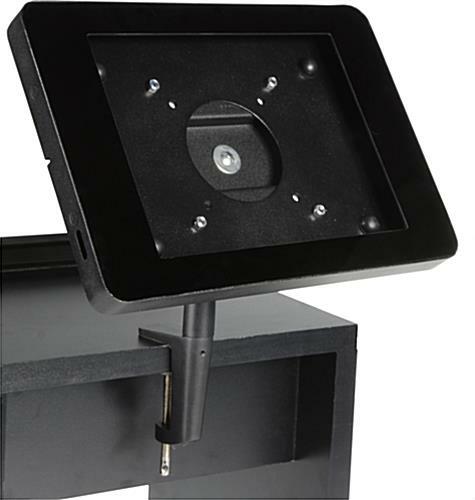 The screw-on mount attaches easily to tables, desks, or counters as needed. 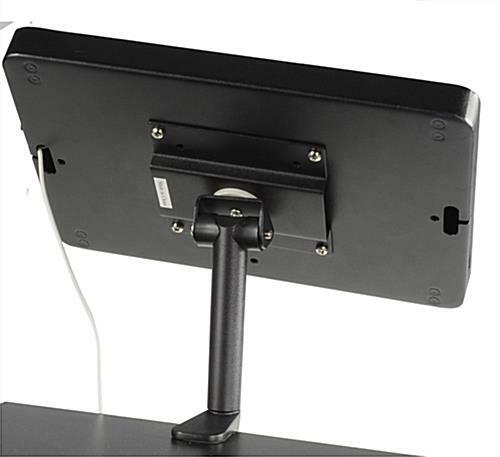 The user friendly tablet case with clamp base eliminates Home access to reduce tampering or unauthorized program access, while the secure enclosure protects installed devices from theft. 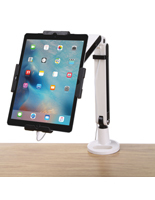 This type of portable Apple tablet mount is ideal for retail, educational or commercial installation. 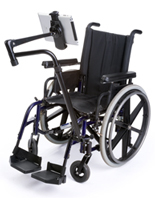 Please Note: This product is designed specifically to hold Apple 2nd, 3rd, 4th generation & Air 1 & 2. We cannot guarantee that this will fit other tablets.